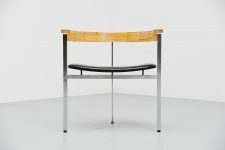 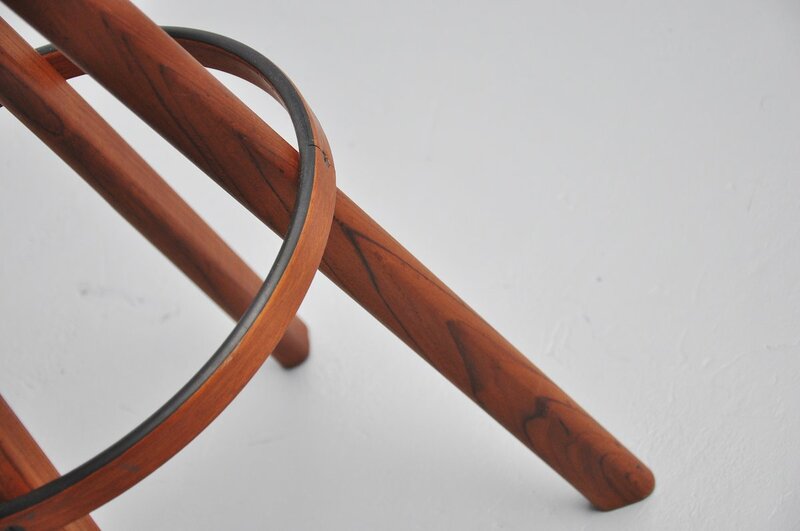 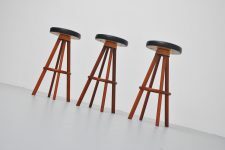 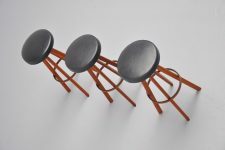 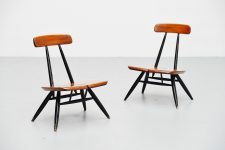 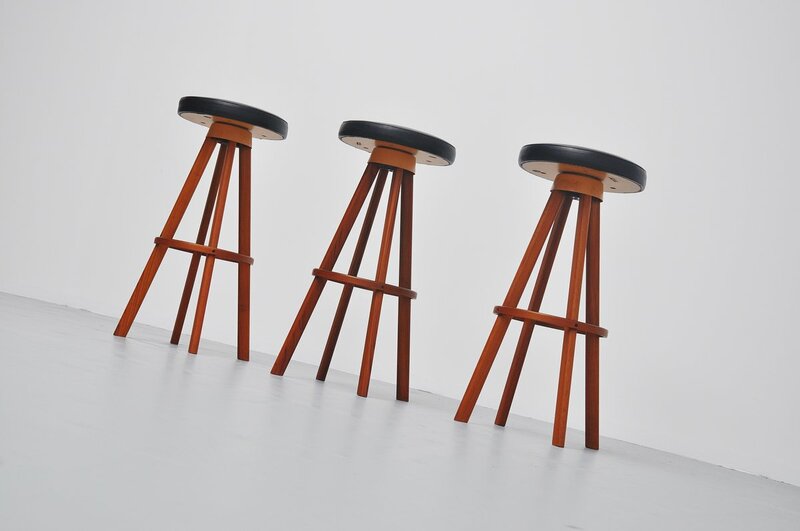 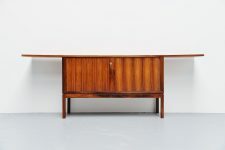 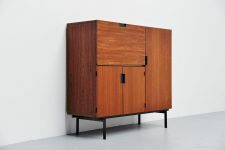 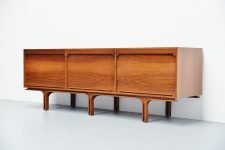 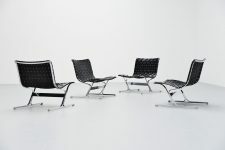 Very nice set of 3 bar stools designed by Frem Rojle, Denmark 1960. 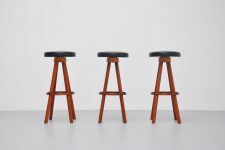 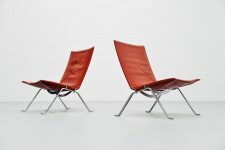 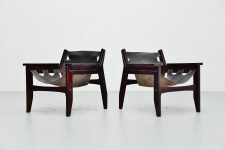 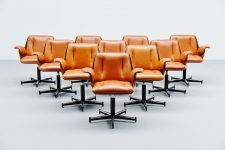 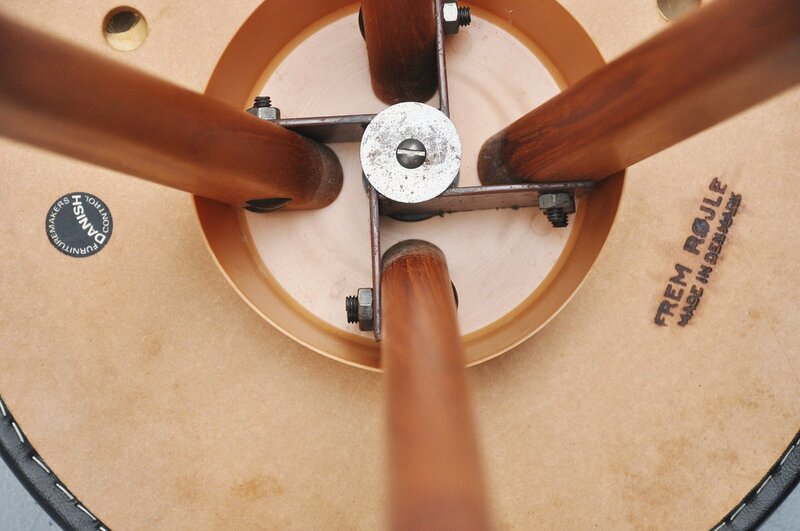 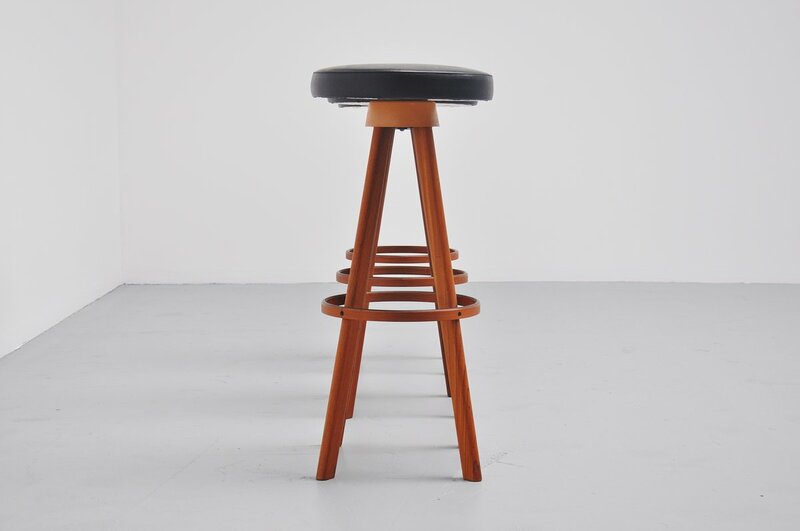 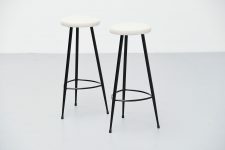 These stools have a solid teak wooden base and synthetic black leather seats that swivel. 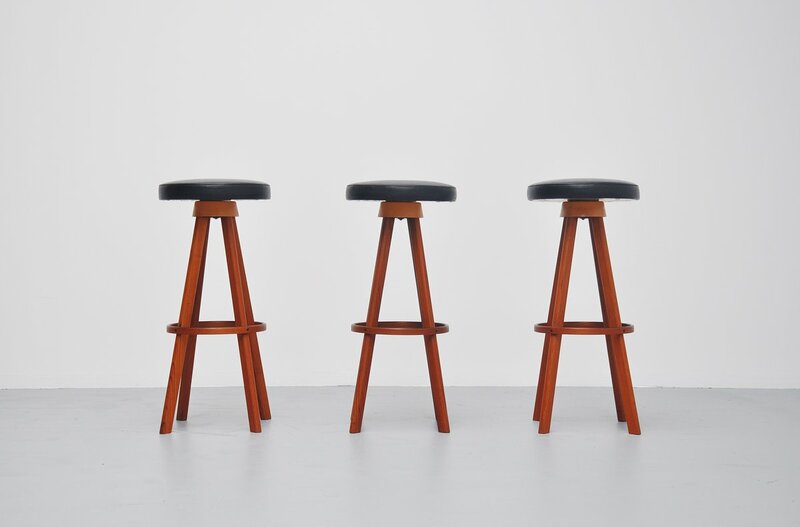 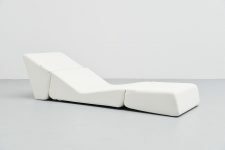 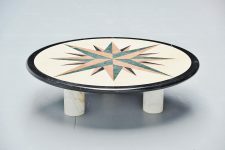 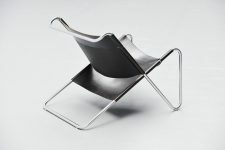 Very nice quality stools and nicely shaped. 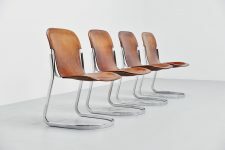 Comfortable seating and marked underneath the seat accordingly.